Enjoy A 2 1/2 hour appointment with five of your closest friends and family. This extended appointment provides you with additional time to find the dress of your dreams! These appointments are offered from 9 - 11:30 am on Saturdays and Sundays. As with all of our appointments, you’ll have a personal stylist to help you select the perfect dress! Enjoy a variety of mimosas and an assortment of pastries and seasonal fruit to accompany your extended appointment! PERKS FOR BECOMING A MIOSA BRIDE! For same day purchases of the gown you have selected, Miosa will credit the cost of the appointment! Additionally during this Mimosa appointment, you have the opportunity to purchase a veil and jewelry at a 20% discount. Private weekend appointments with our salon all to yourself! 2 stylists to assist in finding the dress. Oh, and champagne and cheese for you and your guests! 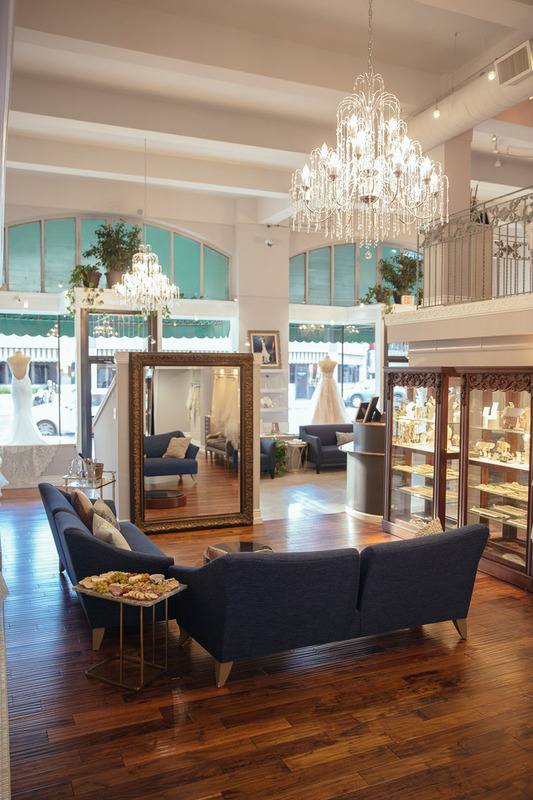 Our classic 90 minute appointment at our beautifully updated salon with a personal stylist to help you find your dream dress from our 1300+ gowns from over 25 designers! If you'd like more information about our appointment packages, our services or being a Miosa Bride, don't hesitate to contact us!